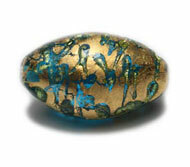 How does Nirvana Beads create new, exclusive and exciting designs in Czech Glass using shapes and techniques that predate our great grandparents? 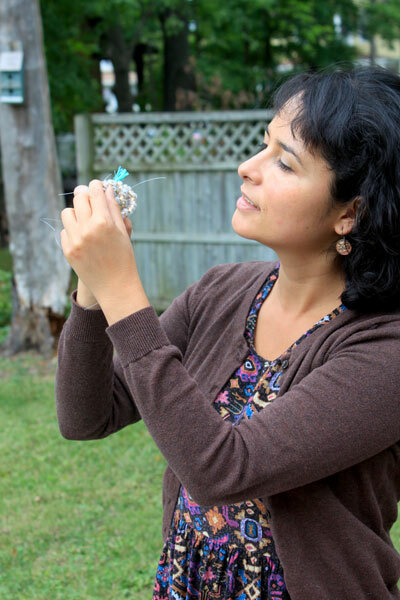 The process takes an absurd amount of time, financial risk, the ability to communicate across thousands of miles and multiple language barriers, a trained artist’s eye – and an artistic soul that sees new bead possibilities in everyday items. 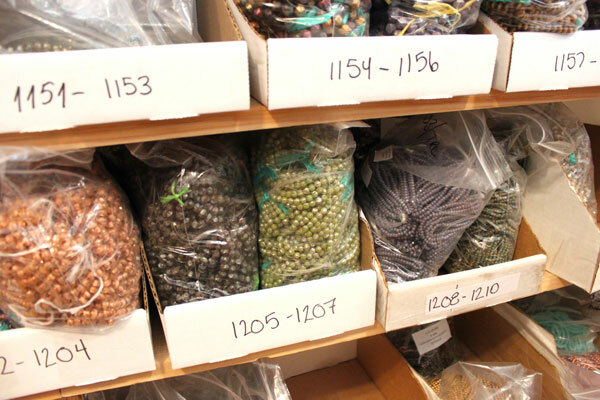 There was no business plan that brought together all these factors in Nirvana co-owners Nir Kronenberg and Cynthia Shanti Moralez – they simply started working together in wholesale bead export to benefit a cause. Their partnership evolved from friendship to marriage to a unique combination of art and commerce that separates Nirvana distinctly from other Czech Glass Bead wholesalers. Nirvana’s office/warehouse is in small, two-story, wood-frame cottage in Hudson, New York (just a few blocks from where Etsy started in a similar structure). Bead, button and findings stock is tightly shelved in nearly every room (including the kitchen). The space is highly organized, but necessarily close. The Nirvana team has developed a necessary rhythm over the years in order to pick and pull orders for processing without regular human collision. In contrast, Shanti’s end of her second-floor office is full of light and inspiration. Her computer, a simple work table and chair have clean and simple lines. Her camera is set up to capture product images for the website using natural light from the window. 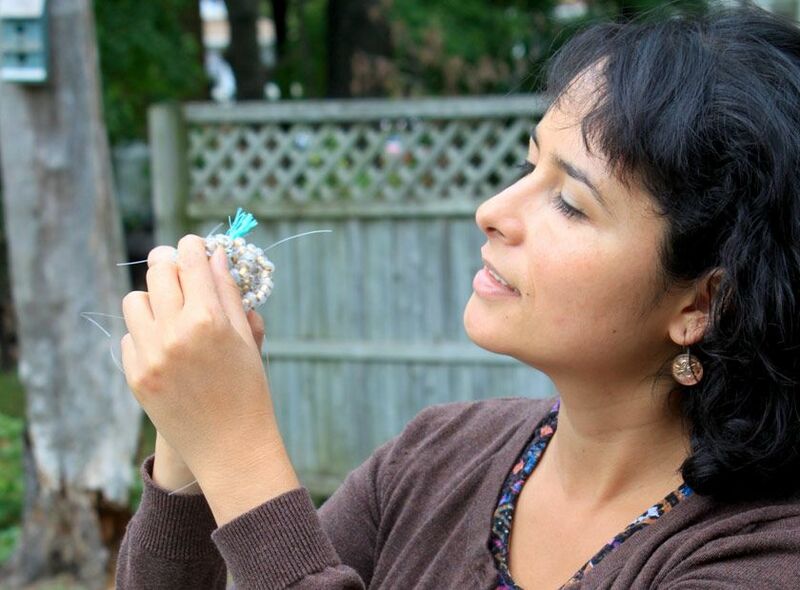 She has samples of every one of the more than 600 strands they have created as well as hundreds of samples and catalogues for new possibilities she has collected on the many trips she and Nir have taken to the Czech Republic to visit with the cottage artisans who make Nirvana Beads. Each design incorporates the same basic elements of glass color, shape, process and finish – but the possibilities are infinite and Shanti delights in seeing the new possibilities in time-tested materials. 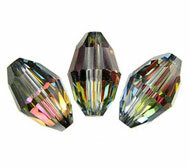 She selects the color or colors of the glass rods that will be cut, pressed or molded to form the bead or button in combination with the shape. The question of finish isn’t simply one of the which finish or colors, but how it can be combined and where it should added and where the glass color needs to shine. Millimeters difference in that choice can make the difference between average and exceptional. The challenge of translating color, shape and light across 4,000 miles to the Czech Republic while hurdling multiple language barriers (Born in Morelia, Mexico and conversant in several languages, English is not Shanti’s first choice for expression and many of the artisans speak no English at all) is met with various numbering systems on each of the elements which should – in theory – create a specific match to the Shanti’s vision for the bead. Once the combination is created and sent to Jablonec – the waiting, wondering and worrying begins. The time between design and delivery can vary from two to 10 months. Each new design is an investment. There is no such thing as a sample piece. Nirvana Beads must commit to a specific run of any new item. Nir and Shanti now import about a metric ton of Czech Glass every few months, but they are still a small, family-run business compared to the giants in the field. Yet they have made their mark – and delighted bead design artists everywhere — with their distinctive design and commitment to quality. Most times the magic works, but there is always a risk that a small, but important, aspect of the idea will be lost in numeric translation. The arrival of each new shipment brings a combination of anticipatory delight and dread. The majority of the time the pair share relief as they unpack the new product together – sometimes the beads or buttons are even better than hoped. But they both accept the risk that comes with long-distance design. Over the years, Shanti has resurrected several shapes and molds which had fallen out of use as the Czech glass production by cottage artisans has decreased and the emphasis on new two-hole designs has increased. She’s come to accept that once stores and bead artists get excited about a particular find – others will follow. Imitation is not the highest form of flattery, but Nir and Shanti have learned to accept that other wholesale importers will eventually jump on to their coat tails to sell the products that began with Shanti. Their solution is to continue to innovate and constantly find new beauty in old possibilities. And for this, bead artists everywhere are grateful.